Several football stars are set to make up the list of a squad that would feature in the fan-chosen MLS All-Star team expected to go head-on in Chicago on August 2nd against Real Madrid. The likes of Bastian Schweinsteiger, Tim Howard, Kaka, Sebastian Giovinco and David Villa are all to feature in the MLS Football team made up of stars. Madrid is in top gear as they enter into preparations for the upcoming season. These preparations will see them go all out in matches against Manchester United, Manchester City and Barcelona in the International Champions Cup. At the end of that, they would round off their U.S trip with a match against MLS All-Stars to be played at Soldier Field. 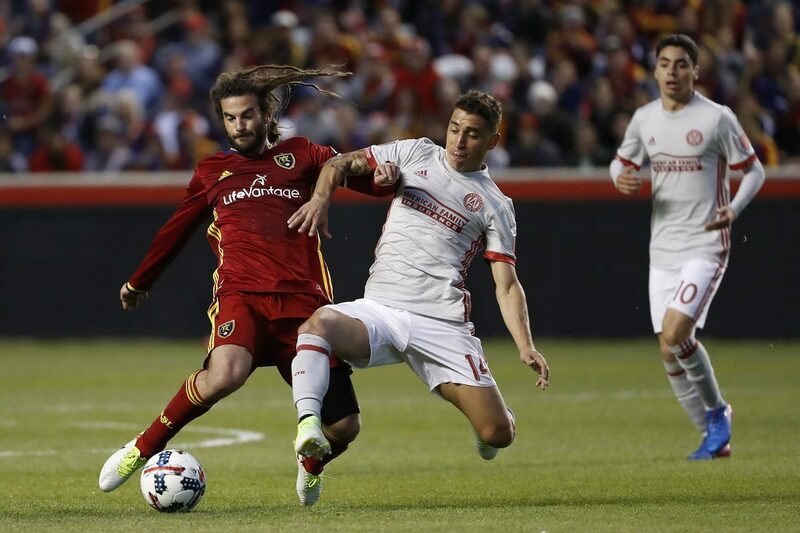 Supporters have been invited by Major league Soccer to take decisions on the first 10 players they believe should be included in the first 10 against the European champions. The voting system only allows for fans to make a choice of one goalkeeper, three defenders, four midfielders and two forwards to be included in the first 10. An update on the voting was recently released on Tuesday and it is expected to end on Friday. The update sees NemanjaNikolic, MLS leading scorer topping the voting as Giovinco follows closely behind. Villa and Josef Martinez comes next, which thus means JozyAltidore, Clint Dempsey and Dom Dwyer all U.S. national strikers will miss out on the chance to join the Fan XI as they trail behind at fifth, sixth and seventh place respectively. Voting results for midfielders is led by Miguel Almiron, who sits ahead of Sweingsteiger, Kaka and Michael Bradley. For defenders, Greg Garza tops the list while Howard is the leading goalkeeper. EA Sports will get to decide the final member of the MLS All-Stars XI in the “More Than a Vote” challenge.